A lesbian graphic memoirist who doesn’t trust her own memory embarks on song-filled reminiscing journey through her childhood as she tries to understand why her gay undertaker father committed suicide. 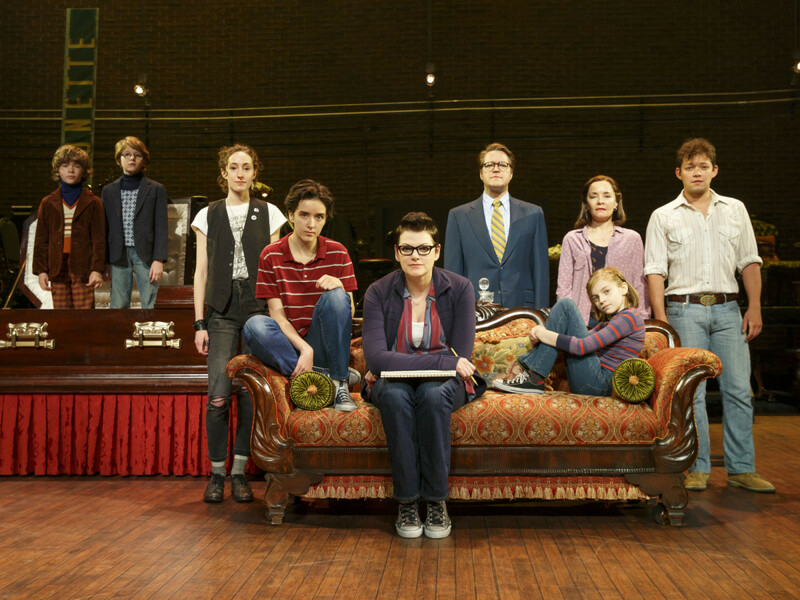 Perhaps that plotline doesn’t sound like the makings of the feel-good musical of the spring, but give the touring company of the Tony Award-winning best musical Fun Home a chance as they fly into the Hobby Center for the last show of the Theatre Under the Stars main 2016-2017 season. As probably is almost universally true for us all if we look deep into our pasts, death and regret reside in this particular memory home, but great joy and yes a whole lot of fun also live it up in the house. 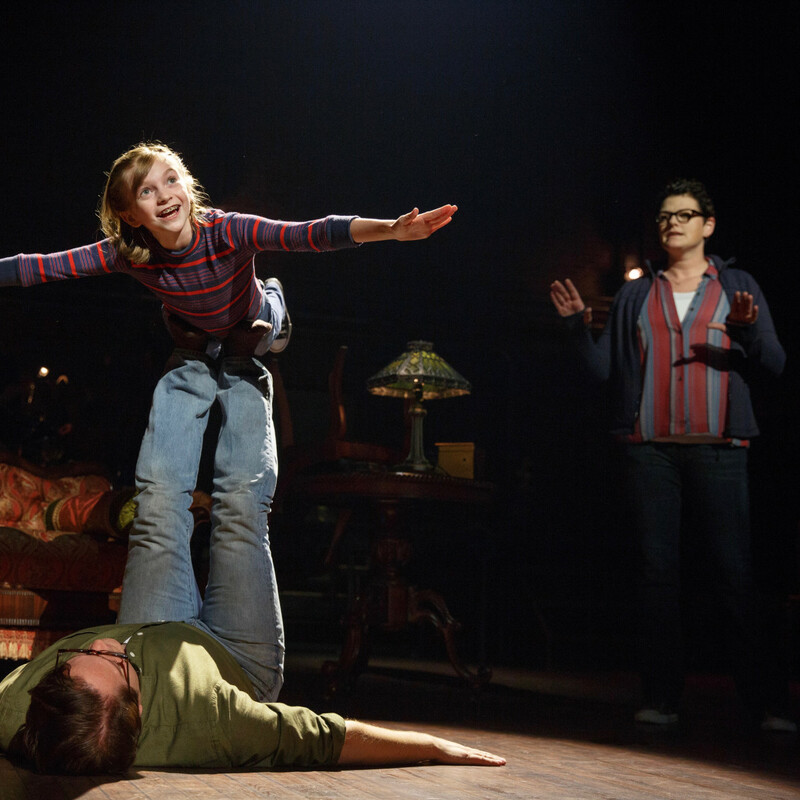 Directed by Sam Gold with music by Jeanine Tesori and lyrics and book by Lisa Kron, Fun Home is the stage adaptation of Alison Bechdel’s graphic memoir. 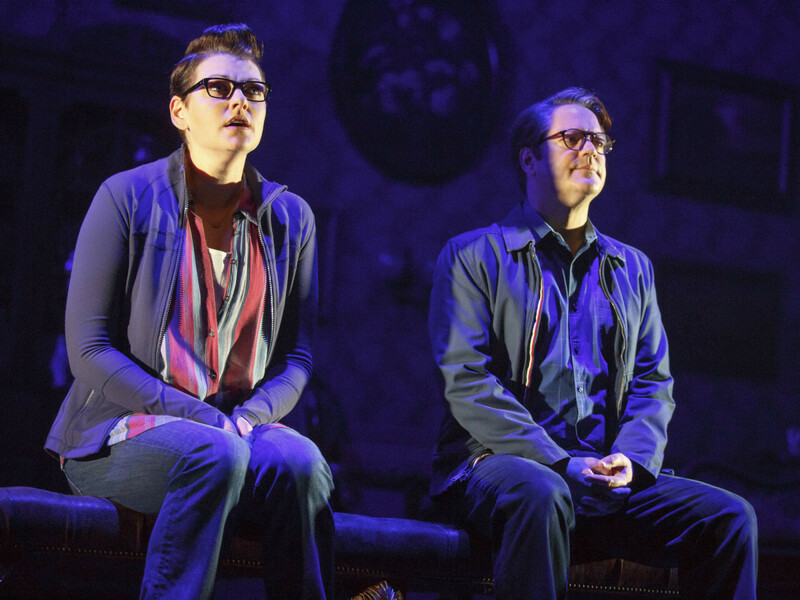 The artist and writer becomes a character in her own story, as Alison (Kate Shindle) plays our guide through this fun home, what her parents called the family funeral home when Bechdel and her brothers were children. The relatively short (about 100 minutes) musical begins as adult Alison roots through her memory for inspiration for her art, drawing cartoons. 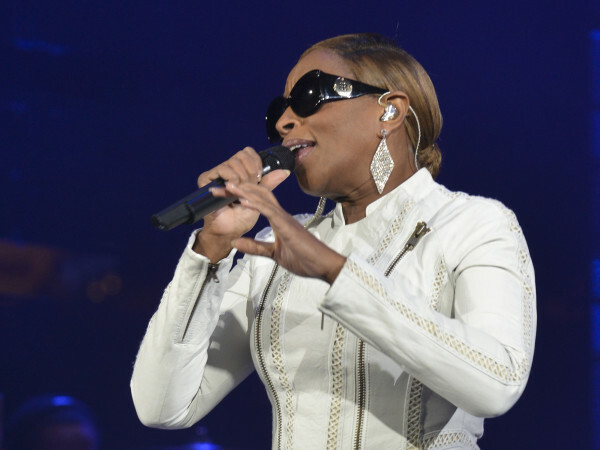 Or is she honing her art in order to better understand her past? She calls upon the memory and journals of her child self (Carly Gold), listed as “Small Alison” in the program, and Medium Alison (Abby Corrigan) her 19-year-old self for help in this memory mining excavation. She also peers into rooms that neither of the younger Alisons actually ventured within, using her imagination and her adult realizations about her father, Bruce (Robert Petkoff), and mother, Helen (Susan Moniz), to fill in the gaps in the pictures she draws. Adult Alison wanders through these moving scenes from her childhood as Small Alison makes steps, and sometimes literal dancing leaps, to come into her own identity. She also watches Medium Alison as she falls in love at college, and comes out as gay to herself and then to her family. Meanwhile, adult Alison’s struggle to “caption” each frame of the cartoons she draws of these memories reflects her deep need to capture and examine these moments, the scenes and regrets from her past. Scenic designer David Zinn’s open, airy set leaves the brick of the back of the stage exposed and allows the audience to view of the small onstage orchestra for the majority of the show. This design aids Sam Gold in weaving Alison’s small, medium, and adult years together. For some songs and scenes they all merge as one with the three Alisons living their various lives onstage at the same time. Corrigan makes Medium Alison into such a sweet but so geeky college student that it’s hard not to both love her and feel embarrassed for her. 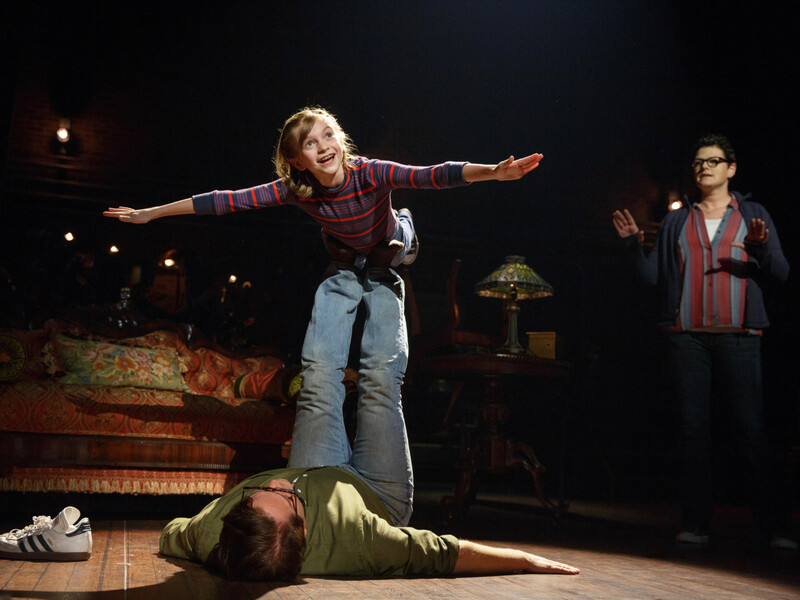 But the older Alisons tend to occasionally get upstaged by the glorious Carly Gold who brings much of the wonder and fun into Fun Home. 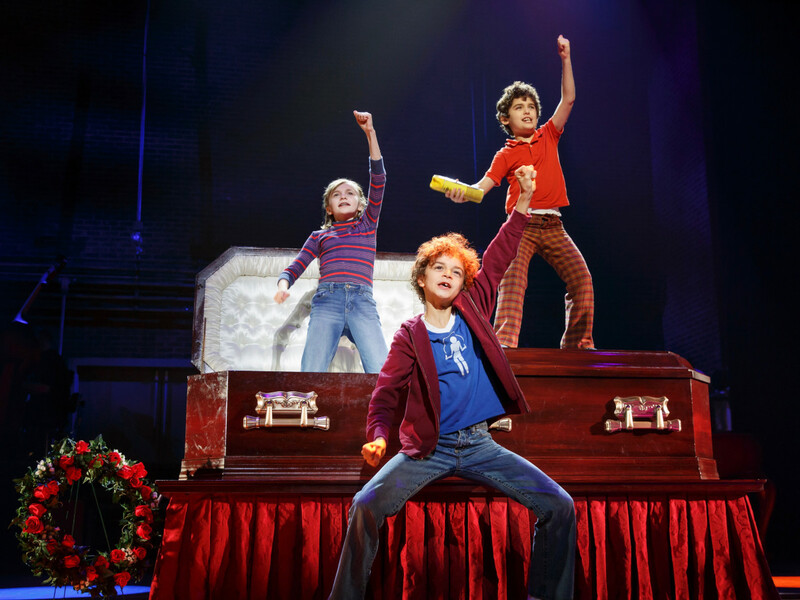 Pretending to make a commercial for the funeral home, her song and dance number with her adorable brothers, Christian and John (Pierson Salvador as Lennon Nate Hammond), on top and inside a casket, is worth the price of admission alone. Both Petkoff and Moniz as Alison’s parents bring much of the depth and sorrow to the show. While usually the spoken dialogue and songs weave intricately together much like the time shifts, Petkoff and Moniz each get a lengthy and heartbreaking solos that reveals just how much Alison’s gifts and burdens come from her parents. 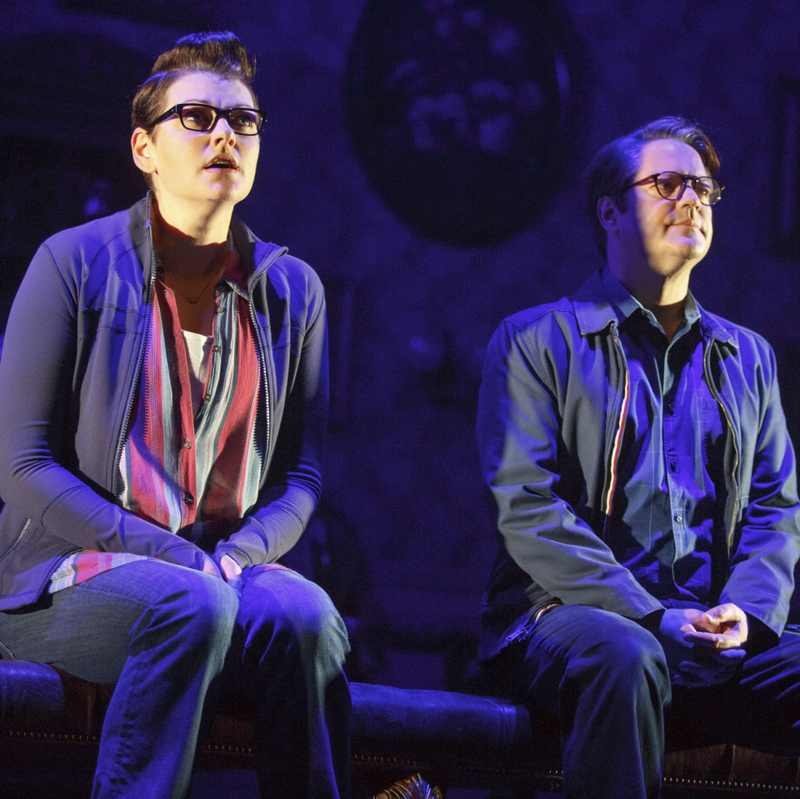 The quirks and tragedies of this particular family might be unique, though dramatically suited for the stage; likewise, the show certainly gives voice to a narrator rarely seen or heard on Broadway. Yet, I’d guess many people understand what a strange experience, like exploring a funhouse, it can be to journey into past memories, trying to make sense of who we are and may still become. 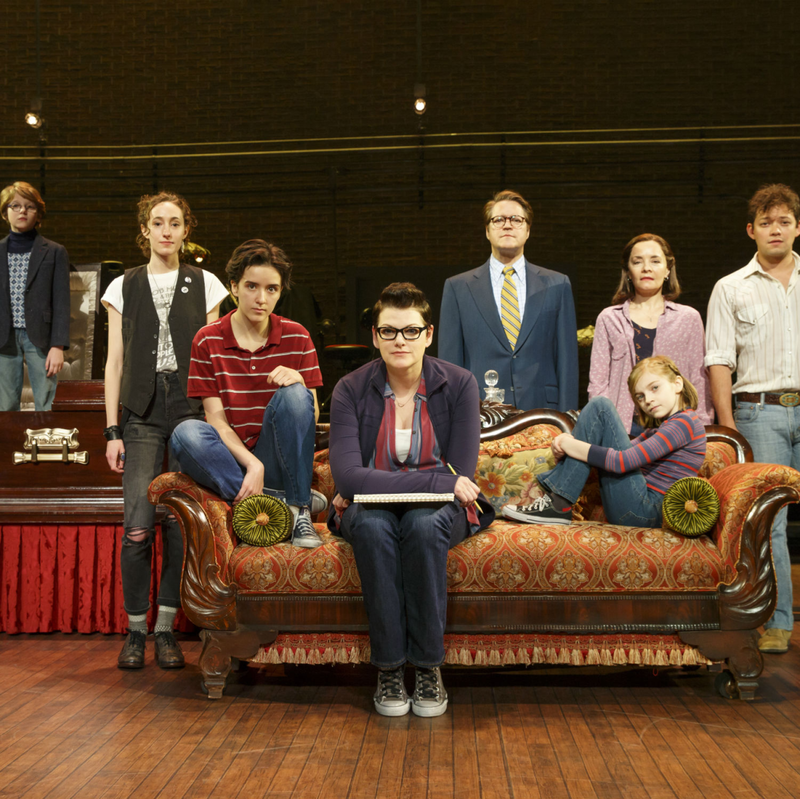 Fun Home makes that trip one we can cry, smile and sing along to. 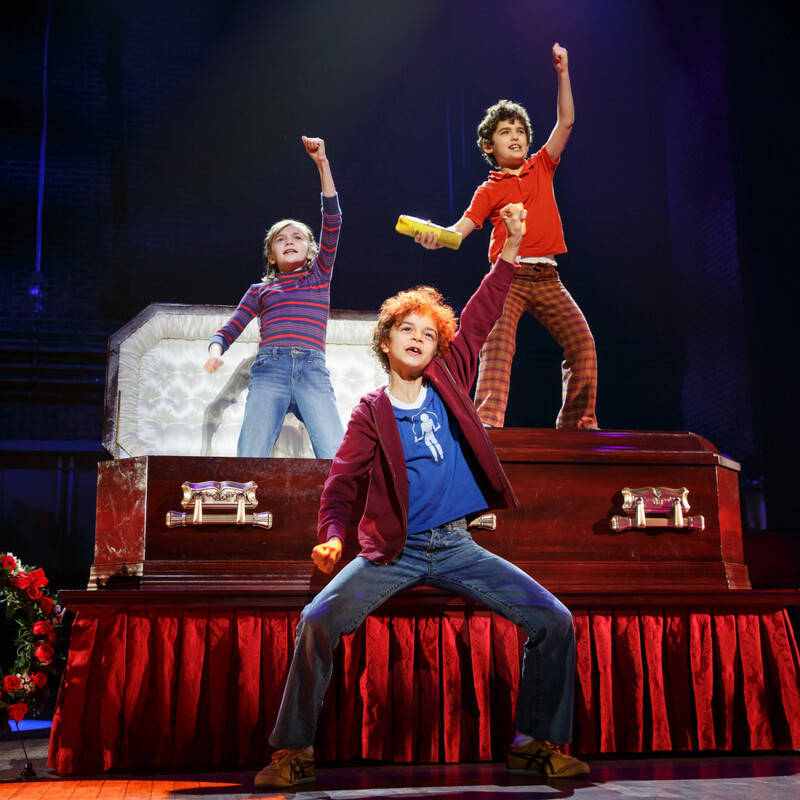 Fun Home runs through May 28 at the Hobby Center.